31 Wilton Ave is a character-rich single family colonial, set on a flat lot. In a price point that is challenging in Norwalk, 31 Wilton Ave continues to impress. With all of the deferred maintenance taken care of, all that's left is to move in. Entering this home is a gift. There is a front porch indicative of the early 1900's when it was built, something today's builders are cost-cutting out of their new construction. It is covered, and great for those summer evenings when it's the perfect temperature outside. Upon entering, there is an elegant foyer, also packed with character--a stain glass window as you look up the stairs, curved archways and columns. All the things you want in a home, are here. The hardwood floors begin immediately and seem to go on forever. The small landing on the stairs even feels right. On a sunny day, it's as if the sun itself is in the center of this home. Even the subtle gray on the walls strikingly contrasted from the ultra-white trim makes any owner a king. The main level features almost 9 foot ceilings, with a living room, dining room with hardwood floors, and a kitchen. There is also a half bath for guests here. All of these rooms are large, and in excellent shape. 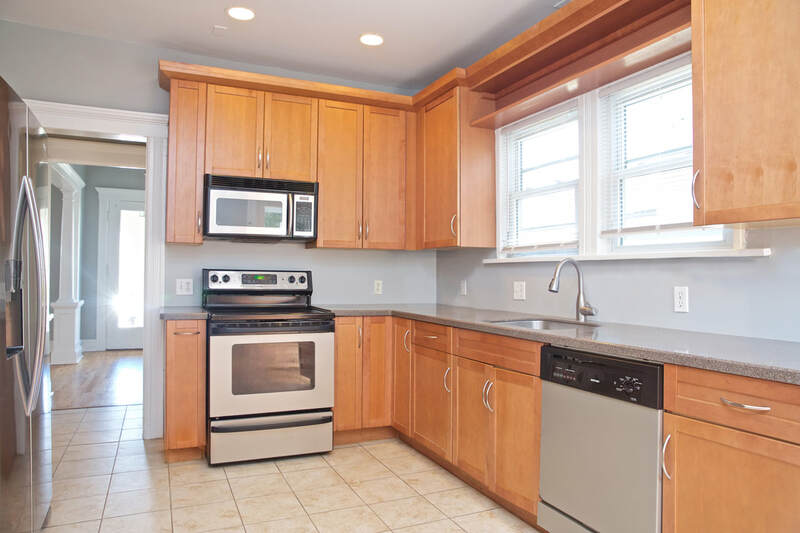 The kitchen has newer cabinets, appliances, and countertops, making it feel like home. There is no absence of storage space in this kitchen, and the access to the backyard is perfect. Upstairs are three bedrooms and a full bathroom. 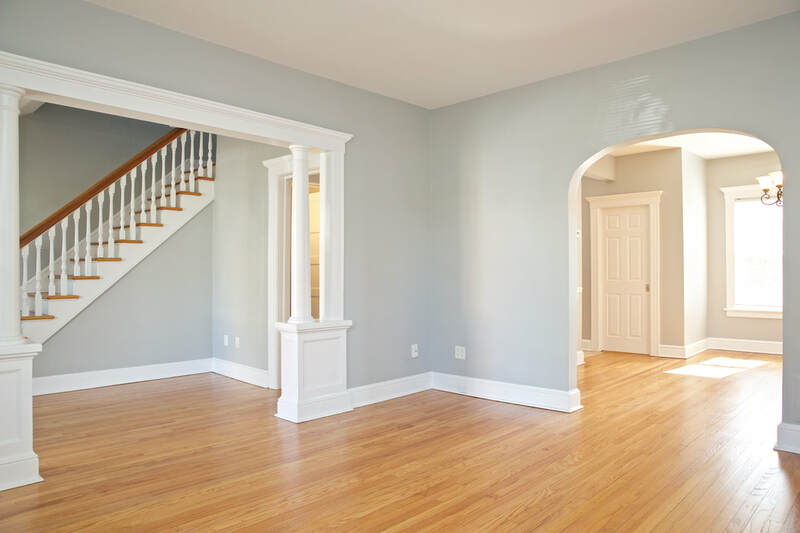 Hardwood floors and charm continue upstairs, making this space feel clean. With lots of windows, this home is bright and feels spacious. There is a large, fully finished basement downstairs, with another full bath. With some creativity, this may be an in-law suite or otherwise. It has a walk-out exit, as well as hookups for a washer and a dryer. This space has endless possibilities. The yard, though small, is square and perfect for entertaining. There is a large shed on the property, and space for a few cars to get off-street. It has central air conditioning, a newer furnace, and so much more. This home is located minutes from I95, and close enough to Wall Street to walk if you wanted a nice summer journey. It also is close to Route 7, and so many of our favorite restaurants in Norwalk. You have to see it today! 31 Wilton Ave is ready to go! It is charming and amazing. It's located so close to everything you need, including transportation and shopping. A colonial in Norwalk with 3 beds and 2.5 baths, and it is the most special home for sale today!